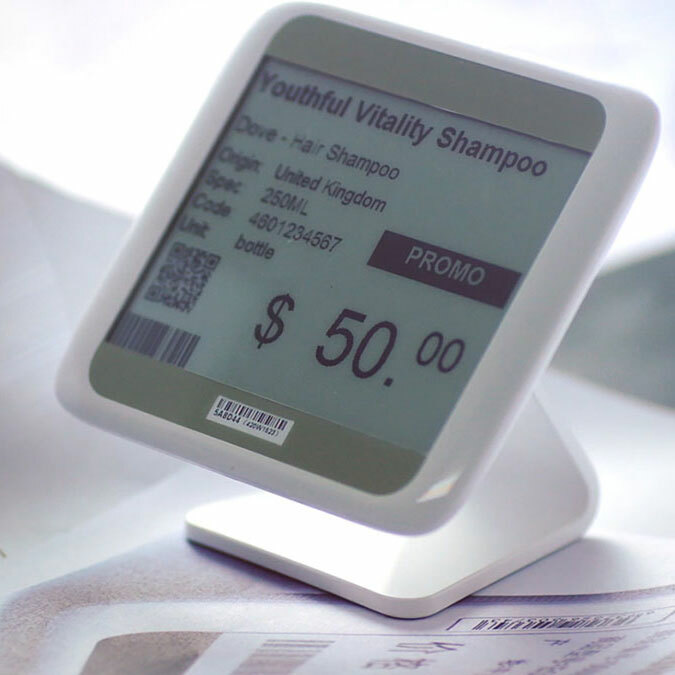 Our electronic shelf label system includes an extensive range of accessories, designed to fix the labels onto a variety of retail display configurations. This patented system, not only attaches the labels to shelves, hooks, free-standing products, hanging products and custom displays, it also protects the labels from substances and store wear and tear. Our shelf railings include an anti-theft mechanism which locks the labels in place. We'll advise which railings fit your existing shelving solution and if any additional railing accessories are required. Clamps attach our labels onto free-standing objects, baskets and custom displays. They offer easy application, angle rotation and a sleek aesthetic. We have a range of hook attachments for our S, M and L sized labels. These can be fitted to your existing hook system. Most include a rotation device so that the label can be angled perfectly. 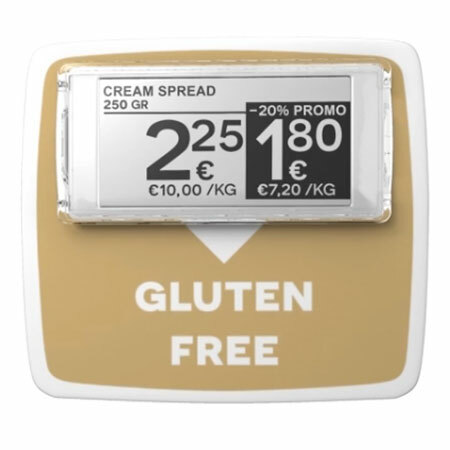 We have a range of special holders that attach the labels onto a variety of in-store display solutions. During scoping and planning we'll advise on the best accessories for all of your in-store displays. Label stands are an extremely versatile attachment system that look great on counter displays. Our stands are custom designed for ease of use, with a modern aesthetic. Our casings protect the labels from water, humidity and oil. 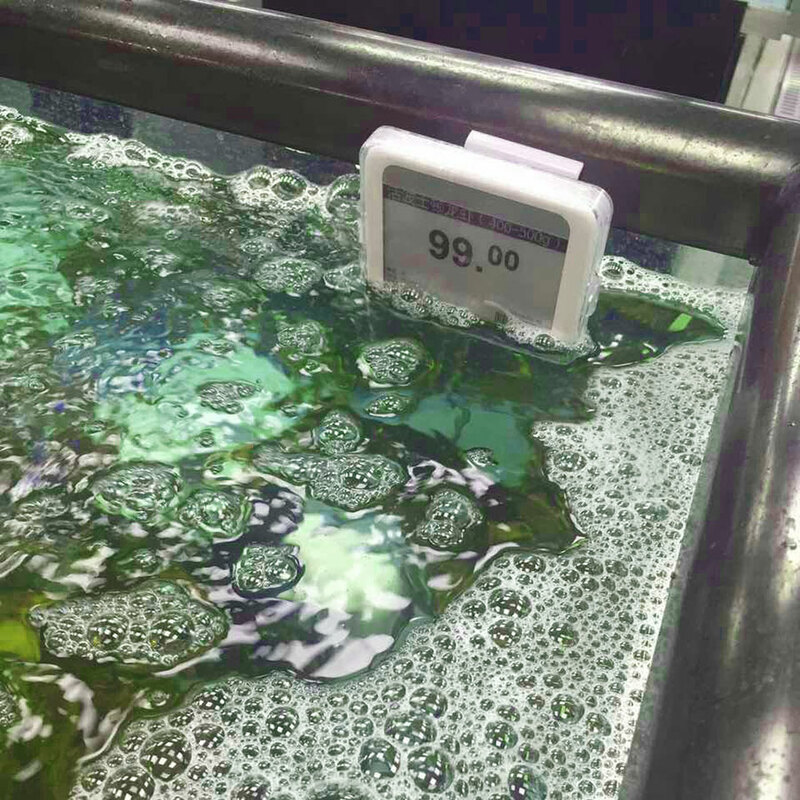 They are so robust, labels can even be completely submerged in water! Our accessories solution also includes a promotional display system, with customised shelf talkers that fit directly onto the labels. These can be used in addition to on screen call outs, to further highlight offers, discounts and product benefits at the shelf edge. Our promotional display system includes 2 types of shelf talkers, to highlight offers, discounts, product benefits and more. The custom designed label case makes asset application quick and easy. Made from polypropylene, they are flexible, tough - almost indestructible! They are custom printed to meet your exact branding and marketing requirements.